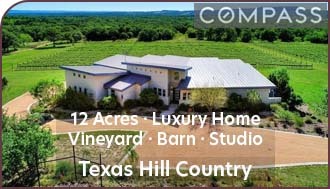 Outstanding Estate Farm just minutes to Corvallis, the hospital and in the Willamette Valley AVA! 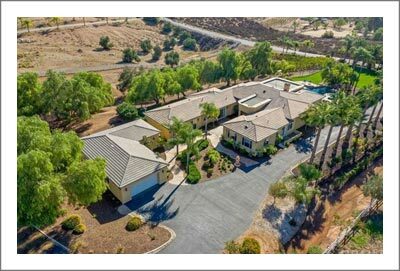 Gorgeous estate home in manicured, park-like setting with swimming pool, pool house, fishing pond, garden and water feature! Grass airstrip and hangar for your airplane! 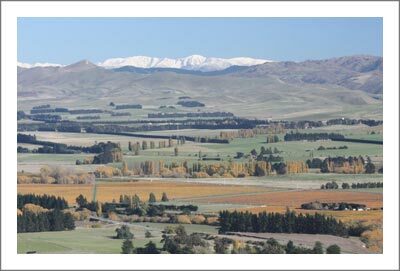 Excellent quality, irrigated soils suitable to most crops common to the area. 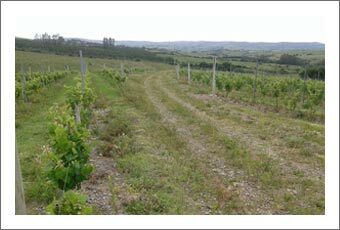 4+/- acres newly planted vineyard; Pinot Gris and Pinot Noir varieties. Woodland with private duck pond! Balance of the farmland is planted to grass seed crop. Plus, 2 rental homes on separate parcel that is within the Urban Growth Boundary. 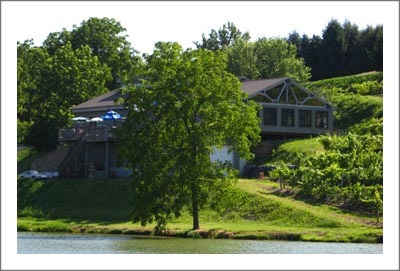 Hunt geese, ducks and doves, plus catch rainbow trout and catfish, all on your own property! Or, just enjoy the pastoral lifestyle! 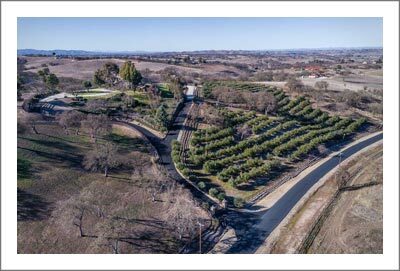 CAN ADD the adjacent Historic Elliott Equestrian Farm and Vineyard, 102.8 acres of vineyard, hay, and crop land, two homes, a building site and equestrian facilities for $1,825,000. 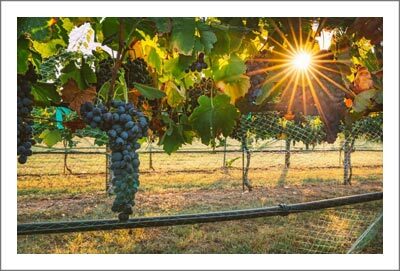 Frazier Creek Estate is located in the heart of Oregon’s lush, rich farming area known as the Willamette Valley, just minutes north of the university town of Corvallis, the Benton County seat and home to Oregon State University (The Beavers!). Corvallis is a nice, small town set along the western edge of the Willamette Valley, tucked up against Oregon’s Coast Range. 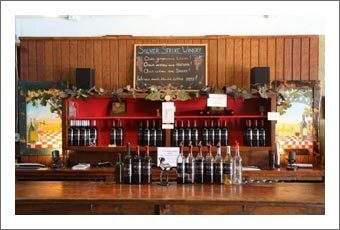 Located just off US Highway 99W, Frazier Creek Estate’s location provides easy access to town, rural communities to the north and south, the famous Oregon Coast and Interstate-5, which connects the Valley north and south. Oregon’s Capitol, Salem is just 45+/- minutes to the north; Portland, Oregon’s largest metropolitan city, is just 1.5+/- hours to the north; and Eugene, home of the University of Oregon (The Ducks!) is just under 1 hour to the South! Plus, as added bonuses Corvallis is just under 1 hour to Newport, on the famed Oregon Coast and only about 2.5 hours to Bend, Oregon’s premier recreational area tucked just under the east side of Oregon’s Crowning Jewells, The Cascade Range! 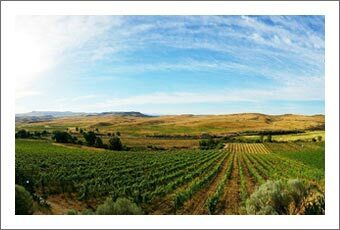 Frazier Creek Estate Farm & Vineyard provides an ideal, central location from which to enjoy the small-town, pastoral lifestyle, yet convenient to so many of Oregon’s treasures! Corvallis maintains mild temperatures all year round with an average of 42 inches of precipitation annually, about 5 inches in the form of snow. On the average, there are about 159 sunny days per year. Average peak temperatures for summer are 70 to 80 degrees while winter’s mild average temperatures range from 30 to 50 degrees. These magnificent temperatures yearround make Corvallis a very comfortable place to live and provide for excellent growing conditions for all crops common to the area. The mean growing season averages 150 to 180 days. 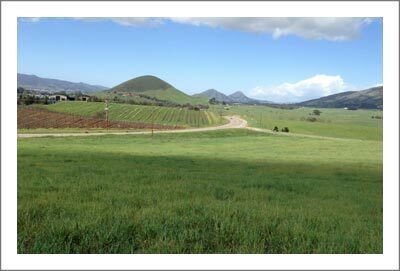 The elevation of the farm ranges from about 217 feet to 246 feet. 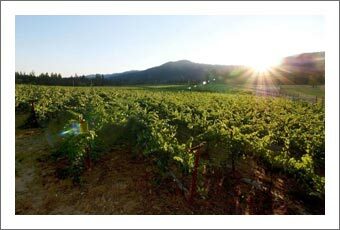 The Willamette Valley is the most diverse agricultural area in the state. 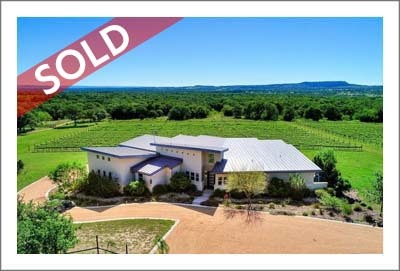 The Estate Home was thoughtfully designed to provide a majestic statement complementing the manicured, park-like setting, privately located overlooking the fields, private airstrip, vineyard, swimming pool, hot tub, patios, garden area, water feature, pond and woodlands. 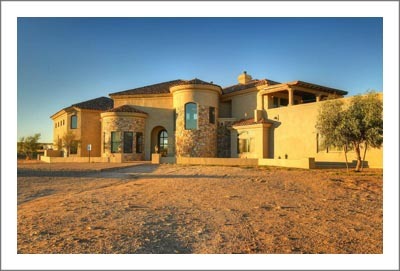 Built in 1994 the 4 bedroom 5 bath, 2 story, stately home, sized at 4,914+/- Sq. Ft. For ease of entertainment and enjoying outside dining with family and friends, the home features a cozy fireplace insert set in a beautiful, river rock hearth in the open family room/kitchen area, right off the patio, pool and garden. Two guest bathrooms, laundry room, private office with fireplace and a formal dining room, with fireplace, rounds out the home’s main floor. From the grand, front entry with gorgeous wood floors, a beautiful, open, gently curving stairway takes center stage, leading to the home’s second level, which features a large master suite, complete with fireplace, double vanity, large walk-in closet, water closet, spacious, glass block and tiled shower, plus a large Jacuzzi garden tub set in a bay window and overlooking the farmland, private airstrip and woodlands to the east. Patio doors lead off the master suite to two decks: one on the north, open to the east and west, offering a panoramic view of the farmland, airstrip, vineyard and woodlands, a perfect place to enjoy the evening sunsets; and one open to open to the east and west, facing south, overlooking the pool, pond and garden area, a perfect place to enjoy your morning coffee. The guest suite features a full bath, fireplace and access to the north patio with its gorgeous views of the farmland to the north. Two additional bedrooms and another full bath, plus a large bonus room over the garage complete the home’s second story. Stairs lead from the second story to an unfinished attic space, perfect for a new owner to complete an additional bedroom, or just use as additional storage. Off the main floor entry from the garage, stairs lead to a small basement featuring a wine cellar area. The spacious 3-car, attached garage offers plenty of room for your vehicles. The Estate Home features hardwood floors in the formal dining room, main level bathrooms and entry; Saltillo tile in the kitchen, which has stainless appliances, including a gas range, and quality carpeting in the office and throughout the second level. The woodworking, trim, interior doors and fireplaces features all exhibit quality and the utmost attention to detail! The patio area is absolutely stunning, with its ample pool apron, covered barbeque area, open lounging area and hot tub. Your hunting dogs will enjoy the covered kennel which is tastefully incorporated to the south side of the garage and is easily accessed from the backyard area. 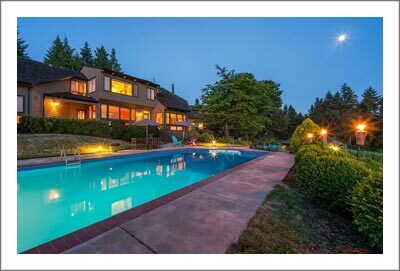 Enjoy swimming in the pool on a warm, sunny, summer afternoon, entertaining, or just relaxing on the patio, taking in the array of flowers, trees, the garden area, water feature and the large pond. The fire pit near the pond is a great place to gather and socialize. Have lots of fun with the pond, fishing for large rainbow trout, or catfish, or ju st peacefully relax on the dock and listen to the birds! The stately pool house, designed to complement the home, is fashioned after a studio apartment, with its own kitchenette, water closet, shower and changing room, providing a handy place from which to service a pool party, plus it can double as extra guest accommodations! A daylight basement area under the pool house shelters the mechanical room for the swimming pool. Consistent with the theme of the farm is a red barn-style storage facility measuring approximately 12’ X 14’, which provides convenient storage for your lawn and garden tools, right where you need them! The airplane hangar is a pole structure with a metal roof and sides, measuring approximately 44’ X 44’. For ease of stabling your plane, the hangar is equipped with a Hydroswing hydraulic door. The inside of the structure features a concrete floor, painted sheetrock walls and excellent lighting. The structure has 220 V power for your welder, plus water plumbed in. A lean-to built off the back of the hangar that provides extra storage for firewood, or what-have-you? The hangar facility perfectly houses the owner’s Cessna TU 206! 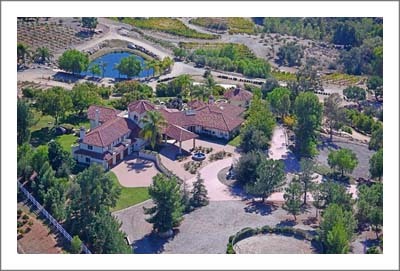 The Estate has a grass airstrip at 240’ elevation, measuring 60’ X 1,500’. 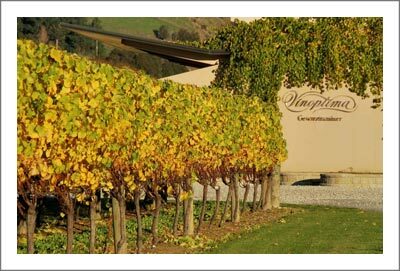 The facility name is Dunning Vineyard AP. The FAA ID is OG01. The owner regularly uses the strip, so keeps it mowed and well maintained; pretty handy to have your own airstrip and then be able to just taxi to your own hangar! 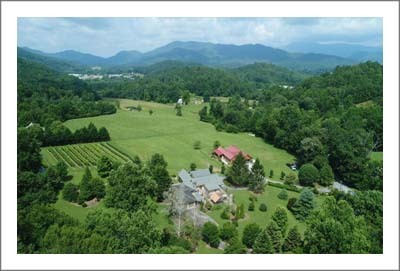 UTILITIES: The main residence is serviced by electrical power, natural gas, and high-speed internet. 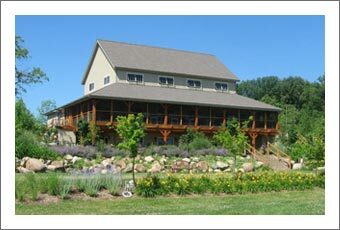 Two domestic wells, tied together, provides domestic water for the residence, pond, water feature and yard system. An on-site septic system services the residence and pool hose. 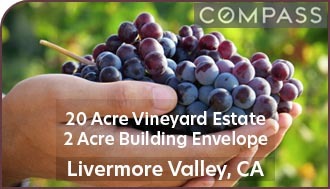 The Estate Farm, Exclusive of the additional parcel detailed below, is zoned EFU (Exclusive Farm Use). For complete detail of minimum lot-sizes and allowed uses within the EFU Zone, please refer to the Benton County Planning Division website, at https://www.co.benton.or.us/planning/page/development-code and further reference, “Resource Zones” Chapter 55-Exclusive Farm Use (EFU) (PDF). The “Lodge House” is a very tastefully designed, smaller home located at the entrance to the Frazier Creek Estate Farm & Vineyard. The home was constructed in 2004. The “Lodge Home” is a 1-bedroom/1-bath studio measuring approximately 1,008 square feet. It features an open-beam, vaulted-ceiling throughout, with wood floors, in an open-living-design concept, encompassing the kitchen, dining and living area. The kitchen includes a laminated wood breakfast bar and stainless appliances. The covered front deck provides a great place to relax in the evening. A covered breezeway leads to the detached single-car garage. 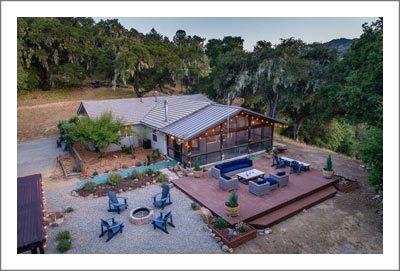 Currently used as a rental, the “Lodge House” appears to have the potential to remodel in to a wine tasting room, providing an excellent entry to the Frazier Creek Estate Farm & Vineyard! The “Caretaker’s House” is a 1999 double-wide manufactured home measuring approximately 1,188 square feet and features 3 bedrooms and 2 baths. The home is tastefully sited in a nice, shaded yard and has an attached carport. The “Caretaker’s Home,” currently serves as a rental, but can serve well as a caretaker’s residence. Also on site is detached barn measuring approximately 672 square feet, with a 336 square foot upper, haymow area. 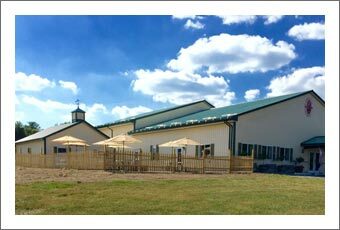 This structure is used by the Estate Farm to store bins for the harvesting of the grapes. Both the “Lodge House” and the “Caretaker’s House” are sited on a single lot measuring .65 acres. The lot is zoned Urban Residential-5 and is included in the Urban Growth Boundary for the city of Corvallis. 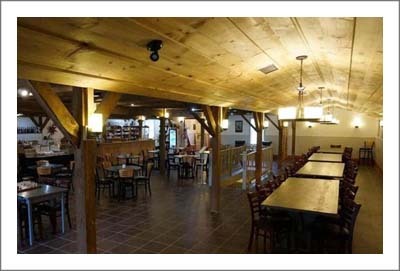 The site is served by electrical power, natural gas, and high-speed internet. Each residence has its own on-site septic system. The two homes share a well, which meets their domestic needs. The Estate Farm’s tilled soils are predominately of excellent quality, capable of growing all crops common to the area (see detailed soils map attached). Over the years, the farm has been planted to various crops including peppermint and green peas. 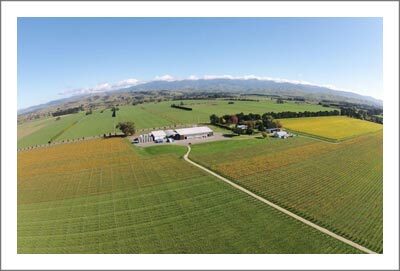 Excepting the vineyard, the farm is leased out on a cash- rent basis and is currently planted to Tall Fescue for seed production. 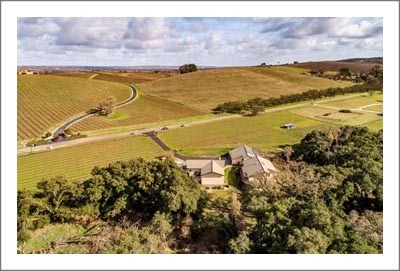 The owner has a working agreement with the long-standing tenant farmer which allows the owner to reduce the acreage that is leased out, so that vineyard plantings can be increased. 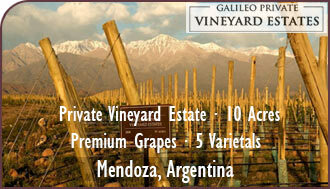 The owner personally oversees the management of the vineyards. 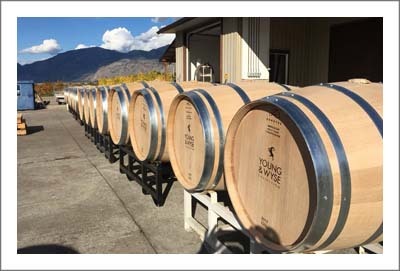 In 2016 the owner completed the planting of a 4+/- acre vineyard, which includes trellis and drip irrigation systems. 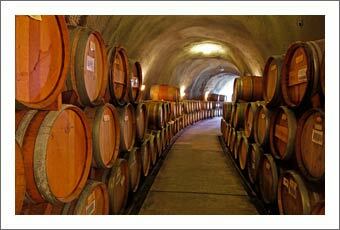 The plantings include approximately 3 acres of Pinot Noir and 1 acre of Pinot Gris varieties. With the irrigation system in place, full production is anticipated in year 2. The croplands can be irrigated from a well that is located north of the property. There is a 6” dia. buried mainline that extends from the well through the farm. When necessary to irrigate crops being grown by the tenant, the tenant has provided the above-ground, portable irrigation distribution equipment. 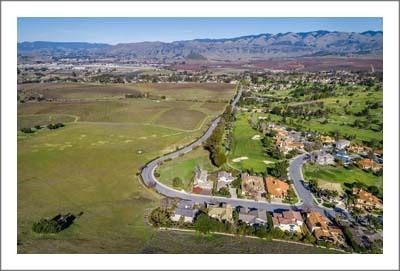 The Tall Fescue grass seed crop belonging to the tenant is perennial and now that it is established, does not typically require annual irrigation. (For more details about Oregon irrigation water rights, see the Water Rights section below). PROPERTY TAXES: For the 2015 tax year, the property taxes are $10,342.57. Land reflects the value for agricultural productivity vs. other alternative uses that may justify a higher assessment. These programs have a potential tax payback if the farm production requirements discontinue to be met. For additional information regarding Oregon’s Farm Deferral Property Tax program, contact the Benton County Assessor at 541-766-6855, or visit their website at: https://www.co.benton.or.us/assessment/page/property-valuation-and-taxation AIRPORT: Portland International Airport (PDX), is 90 miles north of Corvallis, and is the closest international airport. PDX has been voted America’s best airport by Travel + Leisure for 3 years in a row (2013, 2014 & 2015). Eugene airport (EUG), 40 miles south of Corvallis, also offers 15 daily flights to 10 domestic airports. The convenience of PDX and EUG are sure to keep you connected to the places you need and want to be. 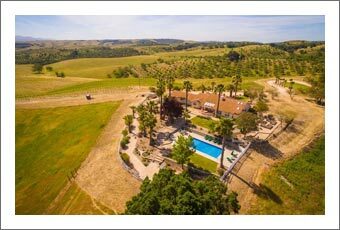 The Frazier Creek Estate Farm & Vineyard, together with the adjoining Historic Elliott Equestrian Farm & Vineyard have been in the same ownership for about 30 years. 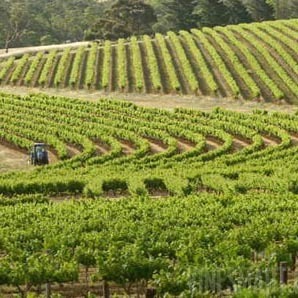 At times, the two farms have hit a high in plantings of 33-34 acres. 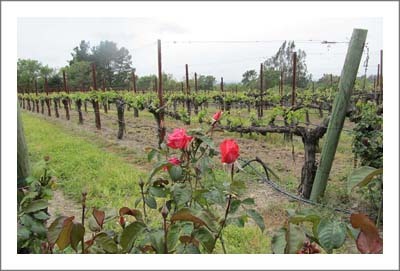 The first vines were planted in 1990: two clones of Pinot Noir, (Pommard & Waydenceville), along with 2 clones of Chardonnay (108 & Draper) and were marketed to King Estates, Eugene, OR in their reserve program and to Willamette Valley Vineyards, Salem, OR, also in their reserve program. 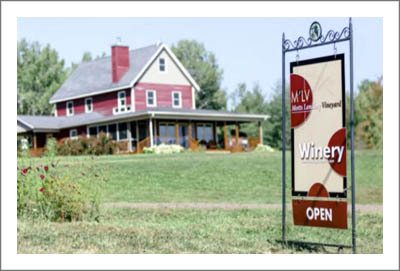 Over the years, additional varietals planted included: Pinot Gris, marketed to King Estates and Sass Winery, Eugene Wine Cellars; Marchel Foch, Syrah, Viogner and more Pinot Gris, marketed to Willamette Valley Vineyards, King Estates, Chateau Lorraine, Eugene, OR, Eola Hills Winery, Rickreal, OR and Seven Hills Winery, Walla Walla, WA. 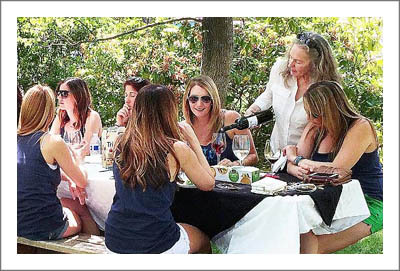 Additional customers have included Tori Mor, Argyle, Benton Lane Winery, Sweet Cheeks Winery, Lake Oswego, OR, and Belle Valle. 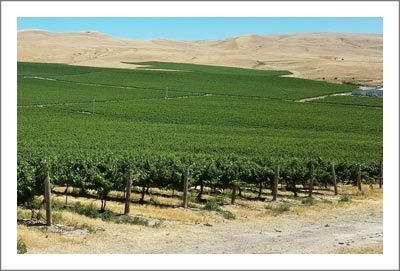 Current plantings in production on the adjacent Historic Elliott Equestrian Farm & Vineyard include Pinot Noir (clone 115) and Pinot Gris. 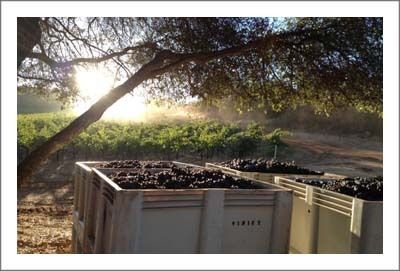 These, along with the new plantings on the Frazier Creek Estate Farm & Vineyard, will be marketed to Dobbes Estate. 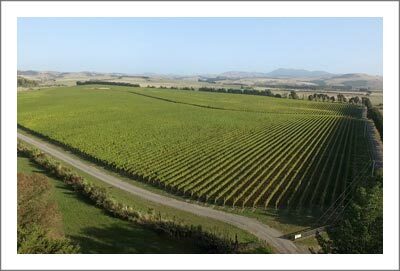 There is plenty of room to expand the existing Vineyard!! The flyway for duck and goose in this region is famous to hunters throughout America. The concentrations of birds and opportunity to hunt them is almost limitless. The farm fields are likely to attract many migrating geese, or you can set up right at the farm’s own duck pond! The presence of deer, elk, and other big game is also a draw to the area. The close proximity to the Coast range and the Cascade Range affords an outdoorsman’s paradise with more area to fish and hunt and less people to contend with. 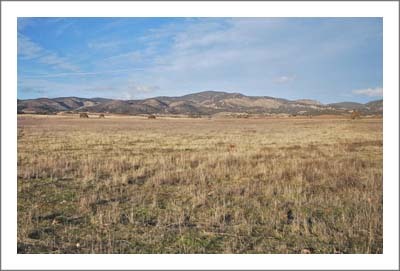 Wildlife common in this area would include duck, geese, turkey, deer, elk, quail, coyote and more. It is rich and lush, and nearby forests and mountains sustain large herds. Enjoy fishing right on the farm! The pond has been stocked with rainbow trout and catfish! Additionally, area fishing opportunities are renowned for trout, steelhead, salmon and even tuna! The famed Oregon Coast, with its Pacific Ocean fishing for salmon and tuna, is just 55 minutes west of Corvallis. 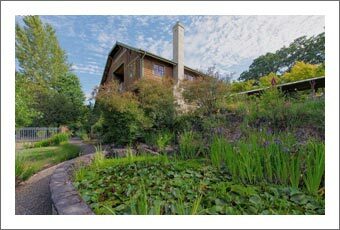 The Willamette River courses through the entire Willamette Valley and is just minutes away. The Columbia River, famous for its salmon and sturgeon fishing is just 1 ½ hours north, near Portland. The nearby Alsea River, less than an hour from the farm, is well known as a productive fly fishery for steelhead! The McKenzie River, just about an hour southeast of the farm, is a world-renowned fly fishery for native rainbow trout and steelhead. Drift boats are the most popular way to fish the McKenzie! For the avid fisherman, it is hard to imagine a more central location to be! If the idea of downhill and cross country skiing on Mount Hood and snowmobiling in the Cascade Mountains is your idea of winter heaven, then Oregon is the place for you. Willamette Pass, Hoodoo and Mount Hood and Mount Bachelor are all within 2 to 3 hours’ drive from Corvallis. With hiking, biking, rock climbing and water sports, Oregon is blessed with more recreation and adventure than one can image! Mary’s Peak is a local favorite and is Benton County’s highest point. Just 45 minutes from Corvallis, Mary’s Peak has endless breathtaking panoramic views. On a clear day one can see the Pacific Ocean to the west and the Cascade Mountains to the east. You name it and it’s in Oregon! With trail and pleasure riding, rodeos, hunter jumper, dressage, and endurance competitions, you will never run out of equine activities for you and the whole family to enjoy. EACH OF US AT FAY RANCHES HAS A LOVE OF THE LAND AND A DESIRE TO SEE IT REMAIN AS PRODUCTIVE AGRICULTURAL GROUND AS WELL AS QUALITY FISH AND WILDLIFE HABITAT. THROUGH PROMOTING THE USE OF THOUGHTFUL LAND STEWARDSHIP, FAY RANCHES HAS GUIDED OWNERS TOWARD A LEGACY OF CONSERVING WIDE OPEN SPACES, ENHANCING AND CREATING FISHERIES AND WILDLIFE HABITAT AND IMPLEMENTING SUSTAINABLE AGRICULTURAL OPERATIONS. 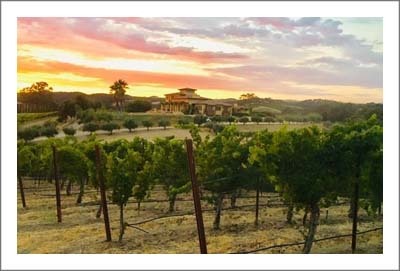 FAY RANCHES IS PROUD TO SAY THAT SINCE OUR COMPANY BEGAN IN 1992, THE LANDSCAPE ON WHICH WE WORK HAS BEEN SIGNIFICANTLY ENHANCED BY THE CONSERVATION ETHIC AND LAND USE PRACTICES OF OUR CLIENTS. For additional protection from urban development, the owners have placed a conservation easement on a large portion of the property. 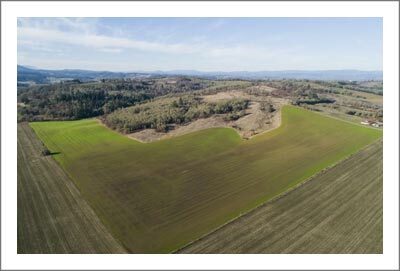 The .65-acre lot that is within the Urban Growth Boundary (UGB) of the City of Corvallis and is zoned Urban Reserve-5 is not encumbered by the conservation easement. Under Oregon law, all water is publicly owned. With some exceptions, cities, farmers, factory owners and other users must obtain a permit or water right from the Water Resources Department to use water from any source, whether it is underground, or from lakes or streams. Landowners with water flowing past, thru, or under their property do not automatically have the right to use that water without a permit from the Department. The waters of Oregon are administered by the State of Oregon under a “prior-appropriation” doctrine; first in time, first in right. As needed, the farm has been irrigated from a well via a buried 6” diameter pipeline delivery system to a portable distribution system. 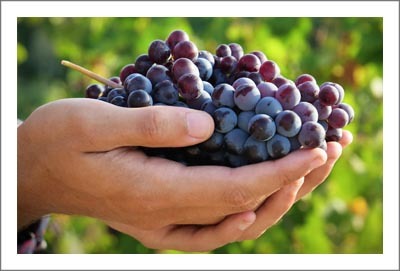 The portable distribution system is the property of the farming tenant and is provided, as his farming practices mandate. 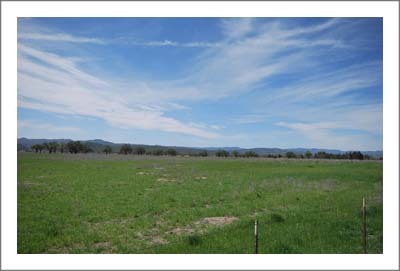 The farm can be irrigated under a permit granted by the Oregon Department of Water Resources. 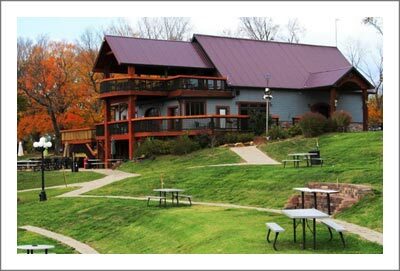 The owner has recently filed a Claim of Beneficial Use for 103.7 acres of the farm. The application is in process and will likely take several years to process. 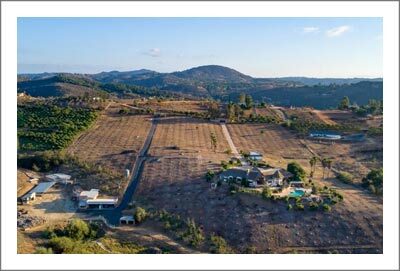 All of the property mineral rights available and owned by the Seller are included in the offering. 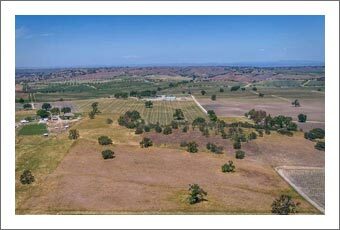 142.63 acres zoned Exclusive Farm Use, plus, for added protection against urban development, there is a Conservation Easement in place covering a portion of the property ? 2015 Property Taxes, $10,342.57 ? Outstanding opportunity to enjoy the pastoral lifestyle, yet just minutes to town! 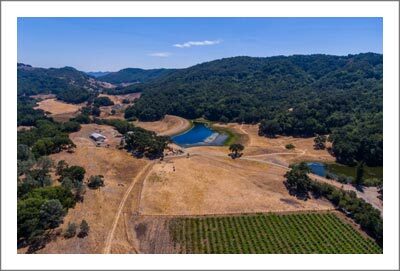 Also available from the same ownership, the adjacent Historic Elliott Equestrian Farm and Vineyard, 102.8 acres of vineyard, hay, and crop land, two homes, a building site and equestrian facilities for $1,825,000.